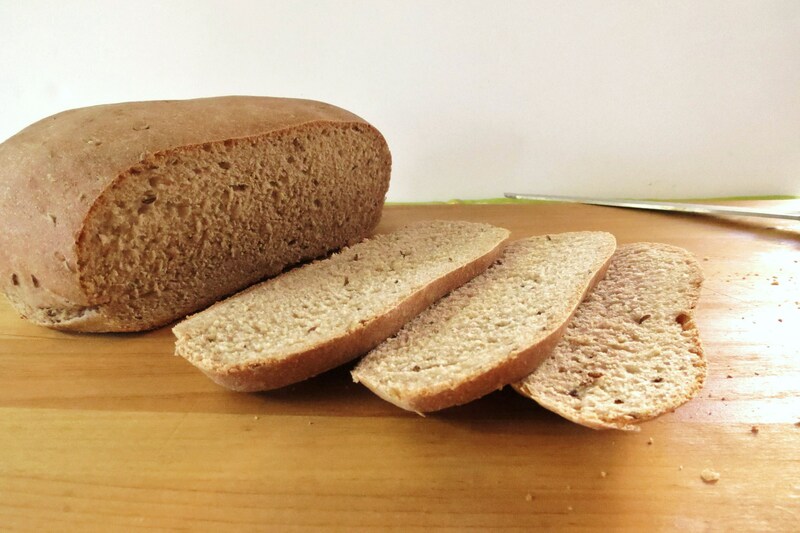 Today is my last St. Patrick’s Day recipe, at least for this week. I saw so many great recipes posted in the Holiday Recipe Club and from so many blogger posts. I have my eye on some Shepard’s Pie, Irish Soda Bread and so much more. 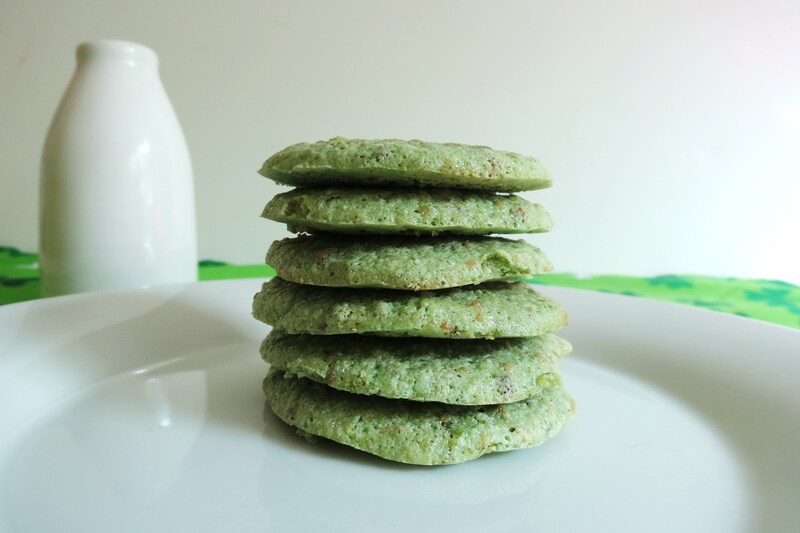 I never realized that St. Patrick’s Day would be such a big holiday for food bloggers. I am glad it is! 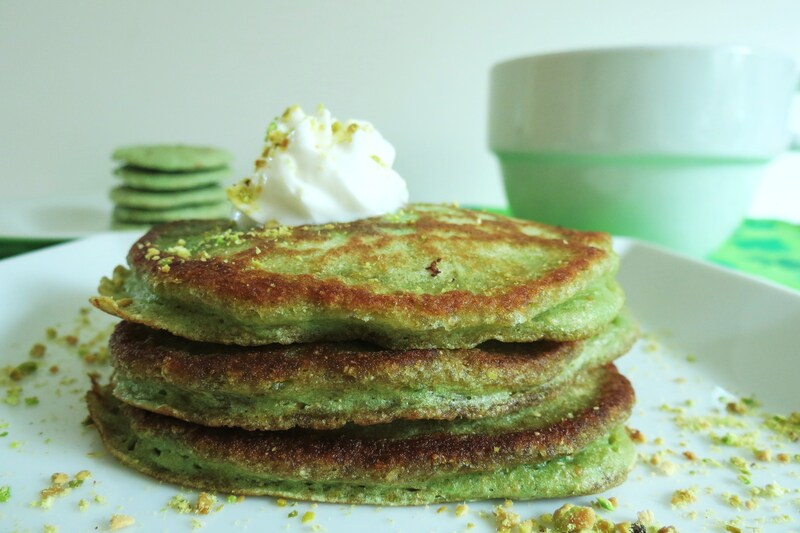 I learned some new recipes and tried some new meals like Corned Beef and Cabbage and my Pistachio Pancakes. This was a great week and what’s even better, is that my family really enjoyed my dishes. I think there favorite was the Thin Mint Mousse. Can’t blame them, it was hella good! 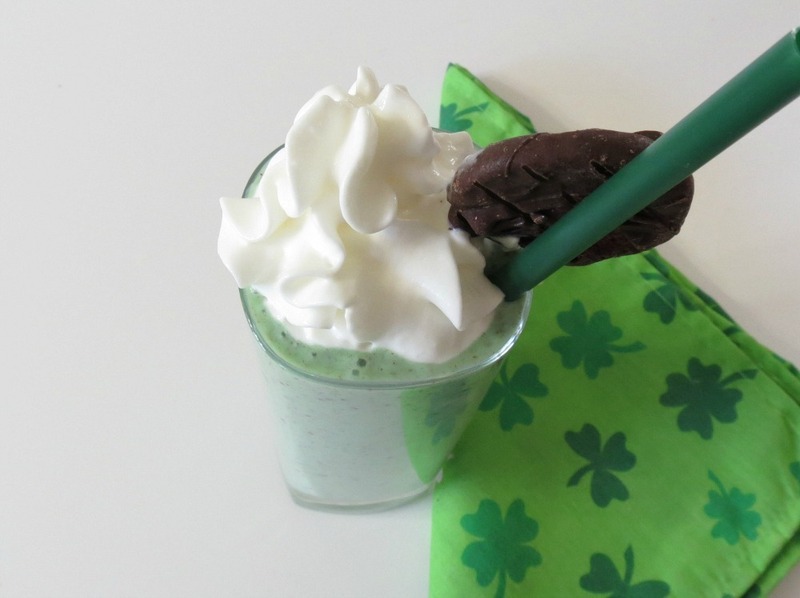 So today I thought I would share with you my healthy version of the McDonald’s Shamrock Shake. I put this shake together in minutes. 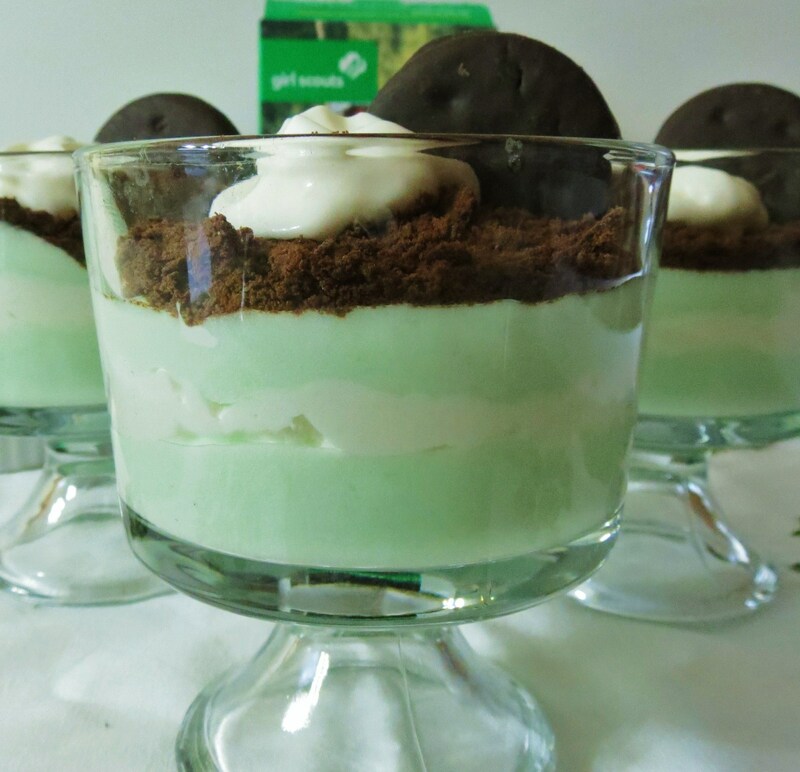 It’s made with banana, plain greek yogurt, unsweetened coconut milk, Thin Mint Girl Scout Cookie and pure mint extract. This was perfect! Not to overly sweet, but enough sweetness from the banana and the cookie. Of course I did have to top it with fat free whip cream. You know me and whip cream!! Note: If you don’t have a frozen banana, add ice with a fresh banana. Holy crap there stats are horrible!!! I understand there’s is made with ice cream, but dam what kind of ice cream are they using? It has trans fat and 74 grams of sugar! Geez! I’ll stick to my healthy banana shake! Yes I added a 40 calorie cookie, but the rest is all good and so is my fat! So there!!! 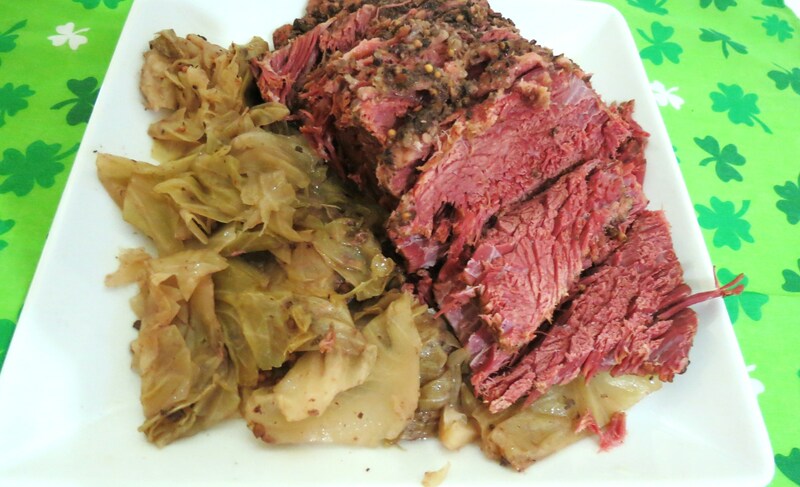 I thought I would put together some of my recipes that I thought would be perfect for St. Patrick’s Day. You know there will be cooking going on in my house, since it’s suppose to rain and be cold Saturday! But of course everyone, but me works that day! Stinky! I hope you have a great day and a wonderful St. Patrick’s Day!! I heard that voting ends on Monday, so as a friendly reminder, as you know I was nominated for Healthiest Eating Food Blog on Fitness Magazine and would love it if you voted for me. So far I only have 45 votes, if you like my blog, please vote for Peanut Butter and Peppers. To vote for me, just go here. Thank you, much appreciated!! Now that’s a gorgeous green shake! Happy St. Patty’s Day! Thanks! Happy St. Patrick’s Day to you!!! A banana shake with cookies that is healthy too? I am all over that:-) Love this idea!!! 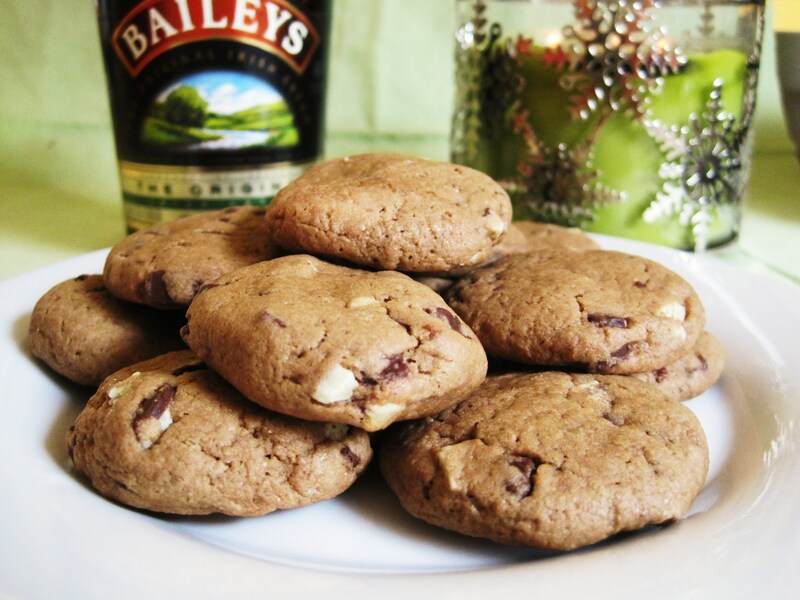 You made so many great St. Paddy’s day recipes! Unfortunately I am not a mint fan, but it still looks pretty and festive! Thanks Erin! 🙂 Yah I seemed to be going with mint and pistachios this week! Once I get on a kick I can’t stop!! You can even use spinach in the shake to make it green without the taste. I am definitely trying your shake recipe! McDonalds is crazy. I took a sip of my husbands and thought it was too sugary. Now I see it why! Jeeez. Great idea! I’ll have to pick some up, I seem to use it so much, I feel like I never have it on hand! ok so ive never had a shamrock shake…apparently im the only person ever?? i need to try it…but maybe instead ill try ur version..it sounds awesome!! 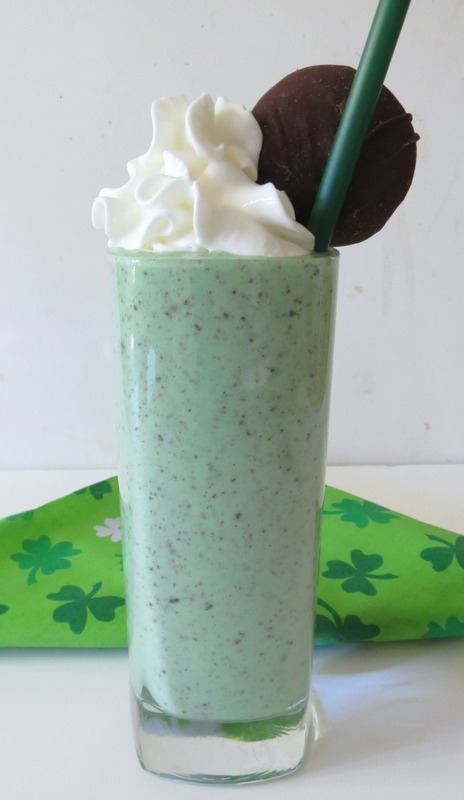 how could it not be with thin mints in it? No your not, I actually never had one, but my step-daughter did and she said my drink was close but not on, because mine is made with banana’s and not ice cream. I’ve heard that the shake is super sweet! This looks great! Love how you consolidated all your St. Patrick’s Day recipes. I’m going to feature this link on my weekend link round-up (goes live tomorrow). Ahhh, thank you so much! I’m going to head over to your blog! Happy St. Patrick’s Day!! Hi Marsha, I got hooked on Chobani about two months ago and I can’t get enough of it! If you try the shake, let me know what you think!!! Have a great day!! Oh my!!! So many great recipes in one post…love. 🙂 That shake is amazing and I am really drooling over those pistachio pancakes!! !